Apart from this conclusion, the different language versions of the CJEU’s judgment, and especially a comparison thereof, make for an interesting reading. In effect, the different language versions show how the CJEU employs functional terminology in each language version, which can lead to different interpretations of the legal concepts employed, depending on the language version consulted and, possibly, the legal background of the reader. For example, in the English language version, the Court makes the innocuous statement that “Assets compromised in the trust are not part of the property of the trustee. The trustee must deal with those assets as separate property, distinct from his own property.” Depending on how the words ‘are not part of the property of the trustee’ are understood, this claim is surely correct as a matter of English law. This is interesting, because the different language versions employ different civil law building blocks, derived from their own legal orders, to explain an English trust relationship. Even though it does not make much sense to try explain an English legal relationship, which has deep roots in equity and the common law, in terms of concepts unknown in that legal system, this is exactly what the different language versions of the CJEU judgment are trying to do. The English common law never developed a concept of ‘patrimony’ as civil law-systems have (P. Matthews, ‘Square Peg, Round Hole? Patrimony and the Common Law Trust’ in R. Valsan (ed. ), Trusts and Patrimonies, Edinburgh, Edinburgh University Press, 2015, 69; A. Popocivi, L. Smith, ‘Lepaulle Appropriated’ in R.Valsan (ed. ), Trusts and Patrimonies, Edinburgh, Edinburgh University Press, 2015, 16; D. Clarry, ‘Fiduciary Ownership and Trusts in a Comparative Perspective’, International and Comparative Law Quarterly 2014, 907; P. Matthews, ‘The compatibility of the trust with the civil law notion of property’ in L. Smith (ed. ), Worlds of the Trust, Cambridge, Cambridge University Press, 2013, 327; A. Popovici, ‘Trust in Quebec and Czech Law: Autonomous Patrimonies?’ European Review of Private Law 2016, 936. Therefore, it does not make sense to describe an English trust as a ‘separate patrimony’, as this concept does simply not exist in English law. To make matters even worse, an English trust cannot, in fact, be regarded as a ‘patrimoine séparée’ or as a ‘Sondervermögen’. The main reason for this finding is that, while a separate patrimony consists of both assets and liabilities attributed to that patrimony, a trust consists solely of assets. All liabilities are considered to be personal liabilities of the trustee. A common law trust therefore entails a partitioning of assets, but not a corresponding partitioning of liabilities. Only assets can be held on trust and never liabilities. Of course, when acting intra vires, the trustee does enjoy the power to pay creditors with funds deriving from the trust assets or to take any such funds to repay himself (A. Ollikainen-Read, ‘Creditor’s claims against trustees and trust funds’, Trusts & Trustees 2018, advance access, 2-3). However, this does not mean that an English trust can be regarded, according to English law, as a separate patrimony or Sondervermögen. Therefore, any lawyer consulting the judgment in her or his own language, should be careful not to draw the wrong conclusions about the essence of a trust relationship under English law. Even though the trust, as far as English law is concerned, cannot be regarded as a separate patrimony or as an ‘entity’, several civil law systems seem to do just that. In itself, this is not surprising, as civil law systems cannot reason outside of legal paradigms such as the patrimony concept. For civil lawyers, it should come as no surprise that influential scholars such as Zenati go so far as affording transcendental value to the concept of patrimony (F. Zenati, ‘Mise en perspective et perspectives de la théorie du patrimoine’, Revue trimestrielle de droit civil 2003, 667. ). It is also not uncommon for mixed jurisdictions and civil law jurisdictions which know or introduce a trust or a similar legal institution into their own legal system to opt for a structure which is characterized by the fact that it entails a form of separate patrimony (e.g. the French fiducie, the Romanian fiducia, the Scottish trust, …). Moreover, Article 2 of the (authentic) French language version of the 1985 Hague Trust Convention exemplifies this as it requires the parties to the convention to recognize that “les biens de trust constituent une masse distincte”. These exact wordings were retained in Article 122 of the 2004 Belgian Private International Law Code. 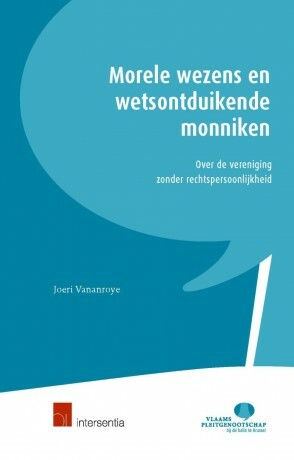 The Dutch language version of Article 122 that the trust assets constitute an “afgescheiden vermogen”, which translates as a separate patrimony. In effect, by considering that a trust should be understood as a separate patrimony, civil law jurisdictions afford strong entity-like aspects to a common law trust. This is for example quite clearly the case in Swiss insolvency legislation, which expressly allows for a foreign trust to be subjected to bankruptcy proceedings (see article 284a, para. 3 Loi fédérale du 11 avril 1889 sur la poursuite pour dettes et de la faillite). This means that a common law trust can be subjected, in Switzerland, to a collective and general form of debt enforcement, the proceedings remaining limited to the trust ‘patrimony’. This implies that bankruptcy proceedings should be brought against the trustee in a representative capacity. The personal assets of the trustee remain outside of these collective proceedings (A. Peyrot, ‘How to square the circle? The challenge met by Swiss insolvency law in dealing with common law trusts’ in L. Smith (ed. ), Worlds of the Trust Cambridge, Cambridge University Press, 2013, 62 – 64). Swiss bankruptcy proceedings can be launched before a Swiss court if it has jurisdiction. According to the Swiss insolvency law, proceedings can be brought at the trust’s seat (see article 284a, para. 2 Loi fédérale du 11 avril 1889 sur la poursuite pour dettes et de la faillite). Interestingly, the Swiss insolvency law expressly refers to Swiss private international law in order to determine where the ‘trust’s seat’ may be located (see article Article 21, para. 3 Loi fédérale du 18 décembre 1987 sur le droit international privé.). The ‘trust’s seat’ is in principle understood (‘deemed to be’) as the place of administration of the trust assets as specified in writing in the trust instrument or in any other form that can be evidenced in writing. In the absence of such a specification, the trust’s seat is where the trust assets are effectively managed. It is very interesting to note that in the new Belgian insolvency law, which was published in the Official Gazette on September 11th 2017 and which has been regularly discussed on this blog, arguably allows for Belgian bankruptcy proceedings to be brought against (some) foreign trusts. Under the new law, which will enter into force in May 2018, different types of organisational forms without legal personality will be able to be declared bankrupt. This is an important novelty of the new Belgian law. In essence, any natural person who is engaged in economic activities on a self-employed basis, any legal person and organisational forms without legal personal personality will fall, in principle, under the personal scope of the new law. However, organisational forms without legal personality which do not aim to engage in profit distribution to their members and which do not, in fact, distribute profits to their members or persons with a decisive influence on the management of the organisational form, remain outside the scope of organisational forms which may be declared bankrupt. Note that the ‘connecting factor’ in the new Belgian law corresponds to the COMI-concept, which also employed by the European Insolvency Regulation. Unfortunately, neither instrument expressly indicates how a trust’s COMI should be determined. However, the preamble of the Insolvency Regulation does include a rebuttable presumption that a company’s COMI is located on the place where the company has its registered office or it’s principal place of business. However, in the case where the actual central place of administration is located in another Member State, and where a comprehensive assessment of all the relevant factors establishes, in a manner that is ascertainable by third parties, that the company’s actual centre of management and supervision and of the management of its interests is located in that other Member State, the COMI will be situated in that other Member State. In article 2 of the new insolvency law, the Belgian law defines the centre of main interests as ‘the place where the debtor usually administers his affairs and which is ascertainable by third parties’. It remains to be seen whether these principles can or should be extended to (business) trusts. The fact remains that none of these definitions are written to specifically suit trusts. For example, in the case of a common law trust, it is clear that ‘the debtor’ in question will normally be the trustee, and not ‘the trust’. Moreover, it prima facie not very clear which trust can be brought under the personal scope of the new Belgian law. Can beneficiaries who receive distributions be considered as ‘members’ of the trust? On first sight, the inclusion of foreign trusts under the new Belgian insolvency law seems like forcing a square peg in a round hole. How about the enforcement proceedings? Lastly, we can wonder about the actual effects of Belgian (of Swiss) bankruptcy judgment against a trust. Even in the (exceptional) case where ‘a trust’ is confronted with a multitude of creditors and a situation of excessive debt, it is not clear what will happen with the ‘bankrupt trust’ when the collective proceedings are to be closed. Normally, the entity in question will be liquidated and be removed from the legal order. Can this outcome be achieved in the case of a trust? 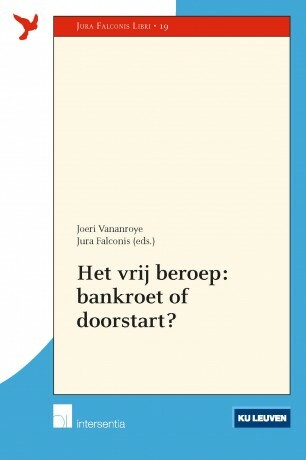 Is it up to Belgian or Swiss insolvency law to decide? And if not, can the application of the law applicable to the trust lead to the same result? Moreover, what should happen is trust assets are situated in foreign (common law) jurisdictions? Common law jurisdictions normally do not allow for the bankruptcy of trusts, precisely because trusts are not considered to be entities and do not have liabilities attributed to them as such. These principles are illustrated by a case decided by the Jersey Royal Court in 2015 (In the matter of Z Trust  JRC 196C). In this case, the Jersey Royal Court effectively held that a trust as such cannot be ‘insolvent’, because it is not a legal entity. According to the Court, a trust can only be ‘insolvent’ when the trustees are not able to satisfy the liabilities incurred in their ‘capacity’ as trustees out of the trust fund. It remains to be seen whether any judgment secured against a ‘bankrupt’ trust can and will be recognized in common law jurisdictions in the eventuality that certain trust assets are located in such jurisdictions. A ’hybrid mismatch’ in private law? We may conclude by pointing to the fact that these problems are reminiscent of the so-called ‘hybrid mismatches’, which are prevalent in international tax law. Hybrid mismatches in international tax law occur, inter alia, when different jurisdictions characterise entities in different manners for tax purposes (e.g. tax transparent vs. non-tax transparent). In Belgian tax law, the question whether an entity is endowed with legal personality according to the lex societatis plays a pivotal role in this (tax) analysis. This may lead to cases of double (non-)taxation. These tax-related problems explain why the EU aims to introduce uniform rules on hybrid mismatches, both as regards between Member States and vis-à-vis third countries (see Article 9 of the Council Directive (EU) 2016/1164 of 12 July 2016 laying down rules against tax avoidance practices that directly affect the functioning of the internal market and Council Directive EU (EU) 2017/952 of 29 May 2017 amending Directive (EU) 2016/1164 as regards hybrid mismatches with third countries). In the case of trusts, one could argue we may be dealing with a similar problem when certain jurisdictions consider a common law trust as an entity which can be declared bankrupt, whereas other jurisdictions do not consider the trust to be a separate entity; ‘a hybrid mismatch’ in insolvency law, so to say.